Approach 1: Use clustering, but direct the requests only to one node. In case of problems with this node just switch over to the other node. Essentially this is an active-passive scenario. Approach 2: Use replication (on modification, no version, no status update). So, this approach 2 doesn't achieve a "full-standby" system, but it more looks like a way not to loose content. Everything else is probably gone, so it's only for a really worst-case scenario. - Need testing to see if it will work. Q: What is best way to create active passive clustering node and what should be I careful about. A: Create multi node cluster and make sure that DR nodes are not taking any request. You have to careful about that there is not a lot of latency between DR node active nodes. Also it is very difficult to keep one node from active node as master in case master goes down. There is no harm of having DR as master node but not recommended (As write always goes through master). You can use either felix console or preferredMaster property to set up master in advance. Please read http://crxcluster.wemblog.com very carefully to understand CRX better. Since this is exposed as a JMX you can monitor it and invoke it during run time. 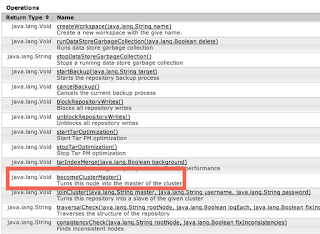 A: No, if you are using clustering then taking backup of any node (usually master) is enough. A: It is not recommended to use clustering in publish instance, Unless there is no other way to support some use case. In that case each publish instane is Hotback of each other. Note that you can not recover publish instance from nightly backup (As things might have been updated from the time back up was created). Usually it is recommended to have a backup publish instance which does not take load but configured as replication agent in author. Q: I am just left with nightly backup, How should I create new publish instance ? A: In this case you have to find out things replicated from the time last nightly backup was created and now. You can use nightly backup in conjunction with http://www.wemblog.com/2011/10/how-to-find-all-pages-modified-or.html to support this use case. Seen several alternative re-rooting methods but this is the easiest and the most doable one. It just took me an ample amount of time in redoing the whole thing and everything seems okay again. Interesting blog. I have a question on Publish Clustering. 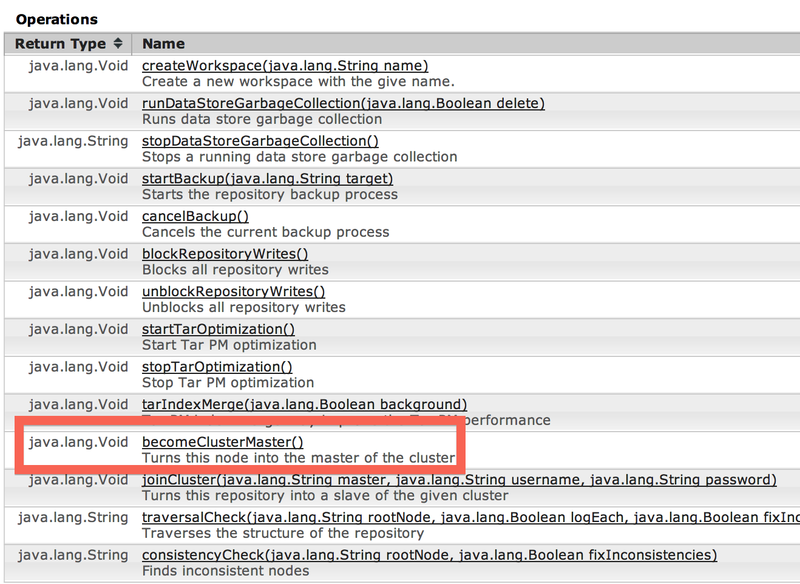 Is there any reason why publish clustering is not recommended? Looks like shared-nothing cluster is a good option for high availability provided there are no network latency issues. Instead of configuring multiple publish instances with replication from author against each one of them, can we use a publish cluster with replication happening to the master publish instance from the author and then the cluster takes care of synchronization between the different publish nodes. Could you provide your thoughts? Thanks for your feedback. Reason why clustering is not recommended in publish is because of single point of failure and in stability of clustering. Publish is very critical to business transaction and at any point you should be able to recover or work on any publish instance independently which is difficult in clustering case. Again I am not saying that you can not use clustering in publish but it is not recommended. Do you have any suggestion on the online backup which CQ provides? have you found this as stable as cold backup? Nice and very helpful topic are you share with us. I am know about more online backups by read your post. keep up to write. I am come back to read your next post. Wish you all the best. That depend, If you don't care about versioning, ACL and all then replication would be better approach as you don't have to deal with clustering issue. Other wise using Active Passive clustering is good solution.